Yarr, we all know thee standard character of thee sea-loving pirate, eager to cast off to sea and find his treasure. Yet what if thar was more to thee pirate than we realized? Sure, he loved booty and hated scurvy dogs and land-lubbers, but has anyone really bothered to look under that sea-salt encrusted exterior to find out who he really was, on thee inside? What if all thee "shiver me timber" stuff was just a mask to hide a deeply introspective, melancholy soul who only really felt at home when he was literally adrift thee lonely sea, looking for something that might fill that heart-shaped hole inside of him? Sometimes, thee loneliest people be thee ones who laugh thee loudest, know what we mean? Perhaps, on those quiet nights when thee walls of his cabin would give him no quarter, he took this spyglass out onto thee deck to look at thee stars above, plunder his own wee soul, wonder at thee vastness of thee universe. Sometimes it can help ye gain perspective on yer problems when ye realize that thar's something out thar bigger than yourself. 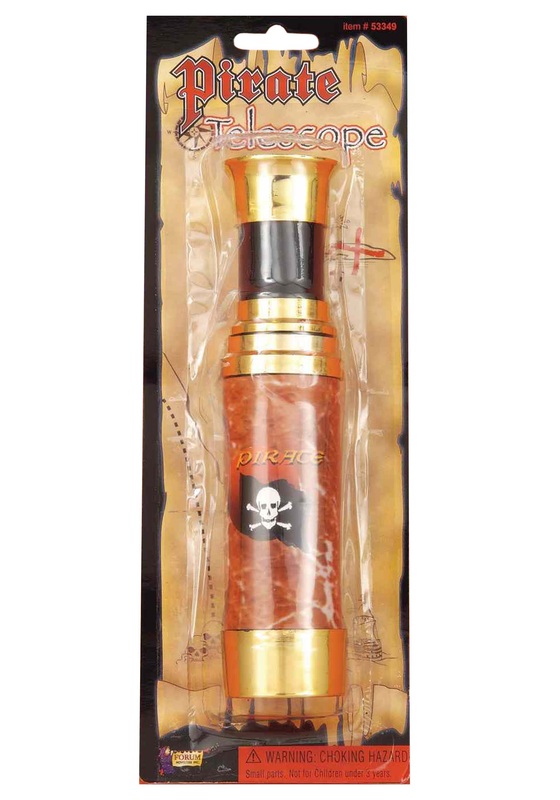 So this Halloween, add this Pirate Telescope Accessory to yer pirate costume to show others that thee regular pirate was more than just a bearded, one-legged, one-eyed, parrot-keeping, pipe-smoking, booty-loving treasure huntsman out on thee open sea. Blimey, he was a person! A misunderstood, multi-dimensional person with feelings!